Everybody loves dogs, however some dogs however are not tame or sufficiently trained to behave around strangers. They may bark relentlessly, or worse, bite. Furthermore, dog bites or attacks can cause mild to severe injuries or damages, resulting in minor and major cuts, psychological injuries, and even disfigurement. If you have been bitten by a friends’, neighbours’, or strangers’ dog, and want to file a dog bite claim, then you shoud call Toronto Dog Bite Lawyer Michael A. Yermus at Yermus & Associates. If you or someone you know has been the victim of a dog attack, it is important to seek immediate medical attention. Find out the name of the dog owner and if necessary make a report to the proper authorities. A personal injury lawyer should also be consulted to advise you of your legal rights and provide you with the steps you need to take. In Ontario, under the Dog Owners Liability Act, a person who owns or harbours a dog will be held liable for damages. The dog’s owner will be responsible not only for the medical expenses for treatment or even income loss, but also for any pain and suffering (e.g., emotional trauma, physical pain, disfigurement, etc…) sustained as a result of the dog attack. If you want to get compensated fairly contact Toronto Dog Bite Lawyer Michael A. Yermus at Yermus & Associates. If you or another family member have been attacked by another person’s dog, you may be eligible for compensation. While a claim for damages would be made against the dog owner, if the dog owner has home or renter’s insurance, it is this insurance policy that will answer your claim for damages. Therefore, the misgivings that people typically have about commencing a claim against somebody they know is unfounded, as the insurer and not the dog owner will be responsible for both paying a settlement or judgment and paying any costs associated with defending the claim. Toronto Dog Bite Lawyer Michael A. Yermus, of Yermus & Associates is always ready answer your questions, address your concerns, and guide you throughout the entire process of making a dog bite claim. For years, this experienced Toronto Dog Bite Lawyer and his exceptional team of legal experts have been helping victims of dog attacks across the Greater Toronto Area and the whole of Ontario. While dog bite claims are the most common claims associated with animal attacks, the laws in Ontario also allow for compensation as a result of attacks from other types of animals. 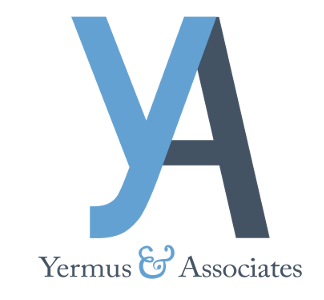 Contact the laywers at Yermus & Associates regarding any claims arising from an animal attack by dialing 416-229-4878 (HURT). Call us now and let us help you obtain the compensation you deserve.